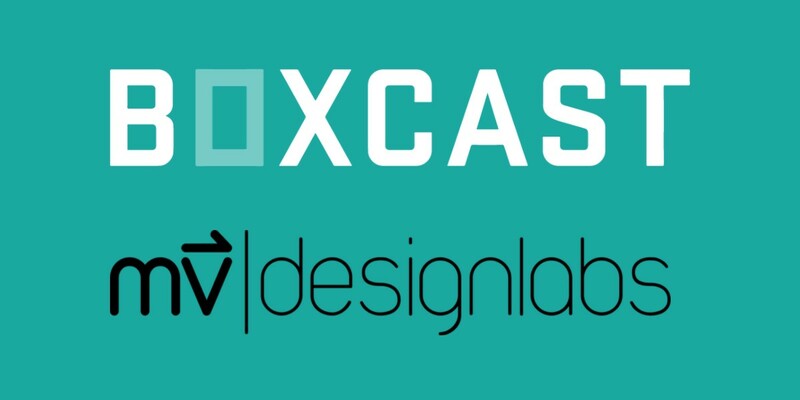 CLEVELAND, OH (October 17, 2017) - BoxCast (www.boxcast.com) today announced it has acquired mv|designlabs, a Cleveland-based hardware and software engineering development company specializing in prototyping, designing and building complex technology systems. mv|designlabs has worked closely with BoxCast in the development of key hardware designs, including the new BoxCaster Pro - the company’s foray into 4K live streaming. As a result of this acquisition, mv|designlabs’ management team and staff are now full-time BoxCast employees. The mv|designlabs team will continue to develop the BoxCast portfolio of live streaming products and operate under the mv|designlabs brand as a provider of high-tech IP development and design services for a rapidly growing customer base. mv|designlabs has earned a reputation for mission-critical, fault tolerant complex systems in which systems reliability is of utmost priority for customers. It is this shared philosophy that has enabled BoxCast to develop a user experience for live streaming unparalleled in the live video production industry. Brad Hughes, CEO & co-founder of mv|designlabs added, “In addition to the robustness and quality of our design work, our team approaches new product designs at the system-level, which means our designs take a comprehensive, holistic view of the customer problems we’re trying to solve. This approach has enabled us with an incredible time-to-market advantage when compared to traditional engineering design. It’s this approach that has catapulted the BoxCaster Pro beyond anything the live streaming industry has yet to see, and we are already fully engaged with our new team on new, even more advanced innovations." This acquisition ensures a dedicated, stabilized and accelerated pace of product development and well prepares the company for development and distribution of the BoxCast Platform at scale. All BoxCast products are built upon, and tightly integrated with the BoxCast Platform - a complete live streaming platform designed to enable organizations of any size, and in any market, to livestream their content flawlessly. The BoxCast Platform was developed so that content creators and organizations of any size and in any market category, regardless of technical ability or live streaming know-how, could share their events live with unsurpassed quality and unparalleled ease. Supported by the industry's most sophisticated streaming technologies, tools and resources, the BoxCast Platform handles everything from video encoding, cloud transcoding, delivery and even monetization. The BoxCaster live streaming device offers the simplest, most affordable way to deliver high quality live streaming content - with stunning HD (1080p) image quality - to audiences; wherever they may be, and to any device they may be using. The BoxCaster can acquire video from numerous sources, including cameras and switchers; BoxCaster simply encodes and sends your video to the cloud (BoxCast Platform). The BoxCast platform takes care of the rest, from cloud transcoding, archiving, delivery, and even monetization. Viewers experience professional live streaming on any device, and is accessible, affordable and extremely reliable. BoxCast formally debuted its newest innovation for 4k live streaming - the BoxCaster Pro - at NAB 2017, Designed to deliver ultra-high quality 4K live streams with all the simplicity, reliability and technical sophistication for which BoxCast is known, BoxCaster Pro encodes up to 4K60HDR video in HEVC, allowing users to stream events live without requiring large amounts of network bandwidth. Built on the BoxCast Platform, BoxCaster Pro delivers transcoded video to viewers wherever they may be. BoxCast is a complete, easy-to-use live streaming platform, comprised of hardware, software and backend services, that enables organizations of any size to live stream their content flawlessly. Launched in 2013, BoxCast is headquartered in Cleveland, OH. Learn more at www.boxcast.com.